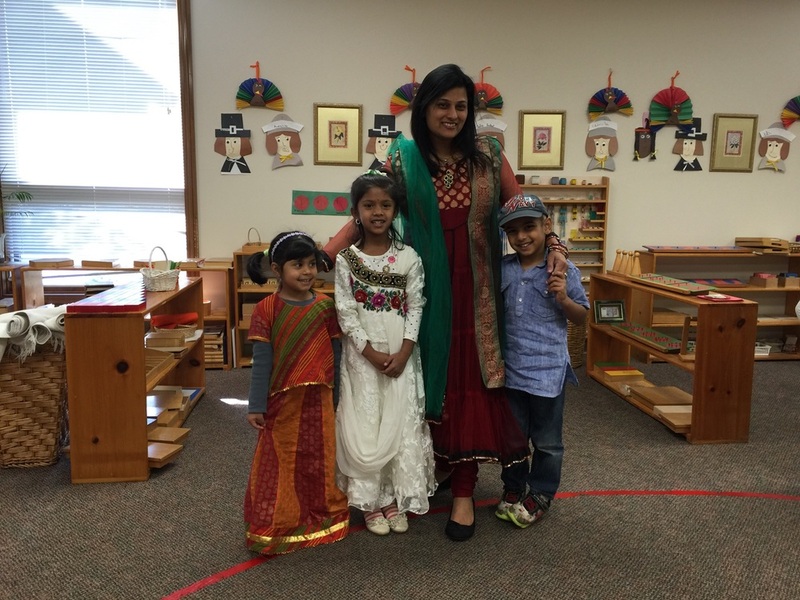 The Montessori concept introduces children to the joy of learning at an early age. It provides the framework in which intellectual and social discipline and accomplishments go hand in hand. 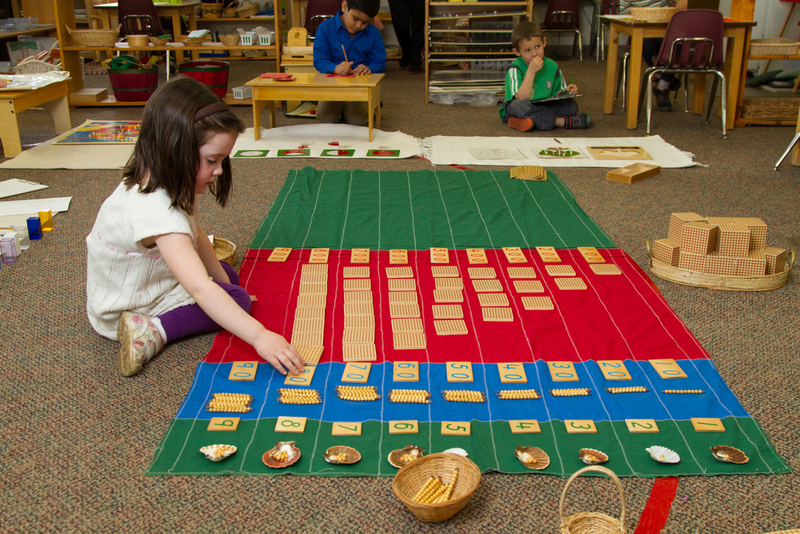 In the Montessori environment, children are free to choose materials and activities from many areas. Here the child is exposed to activities of daily living, which in turn develop within the child a feeling of independence and genuine accomplishment. 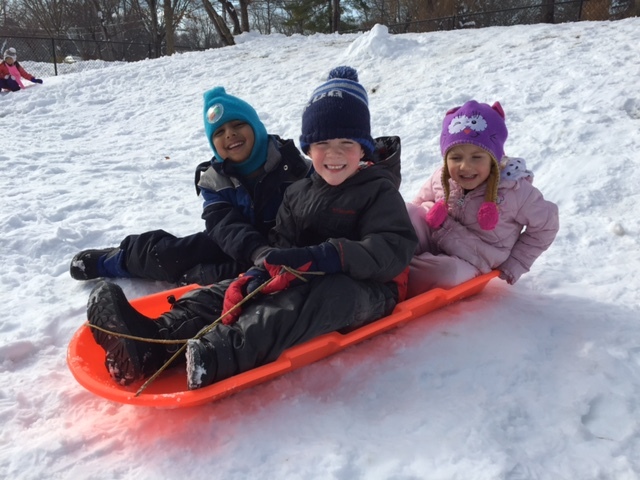 Such tasks also help develop coordination and motor control, as well as concentration. They help the child expand his capabilities to operate in his surroundings without unnecessary assistance. 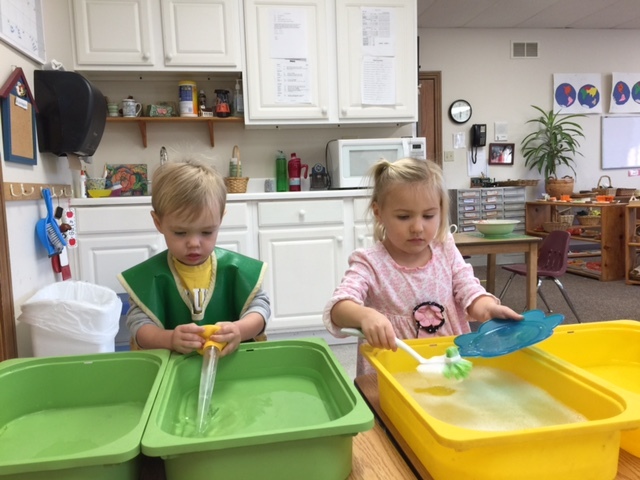 Practical life activities include, but are not limited to, all water activities, small manipulative activities, polishing, and food preparation. Here the child learns visual discrimination, develops his auditory and visual memory, and reasoning power through the use of colors, shapes, dimensions, textures, smells, and sounds. 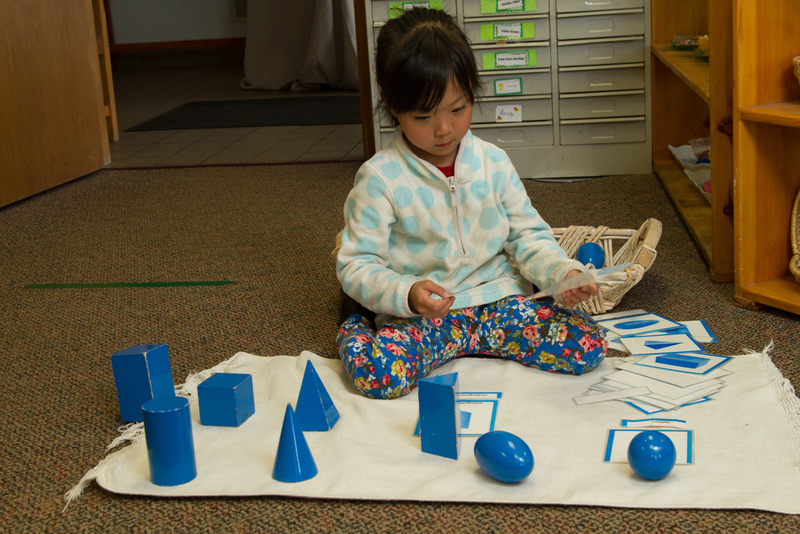 Sensorial materials include: geometric solids, color tablets, geometric shapes, cubes, and prisms. 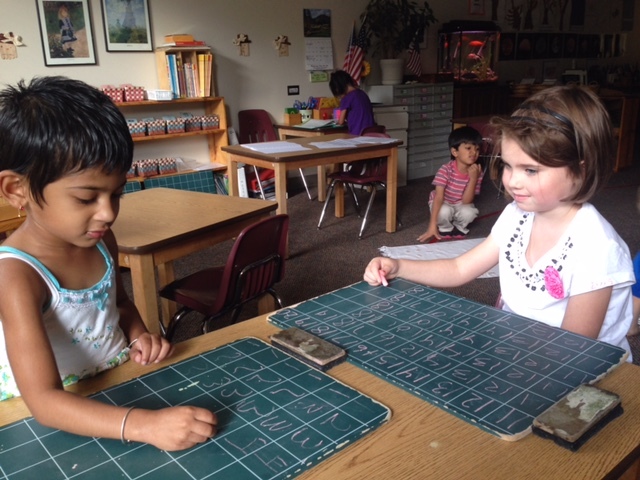 In a Montessori environment, learning to read is as easy and natural as learning to talk. Basic phonetic skills are introduced with the sand paper letters and supported by variety of works such as the moveable alphabet and the sound baskets. 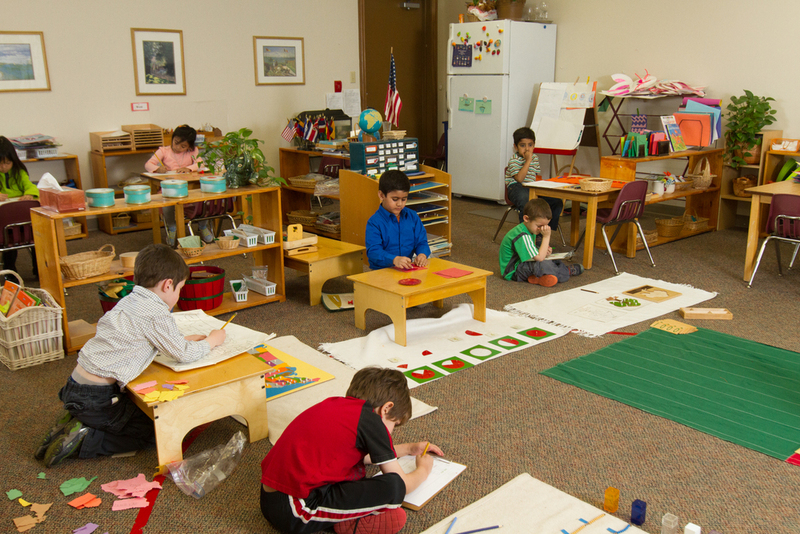 The first writing in a Montessori classroom is done with the moveable alphabet as children are able to encode words well before they have the fine motor skills to use paper and pencil. 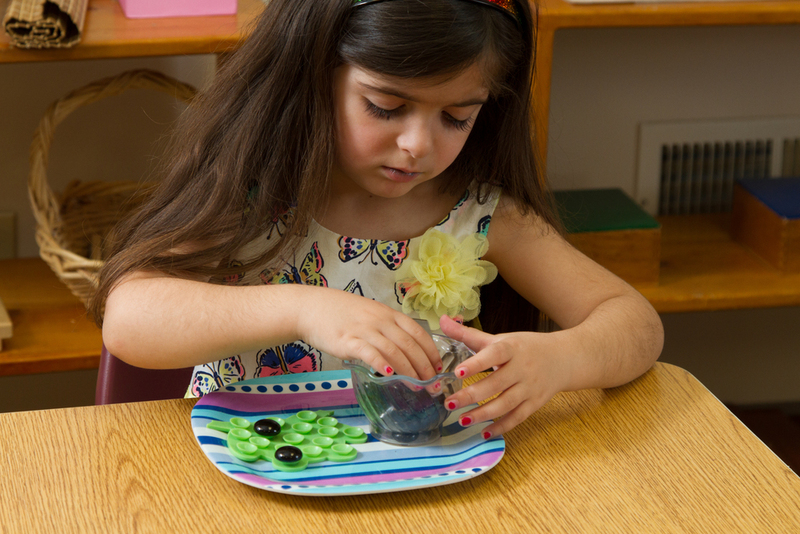 Chalk boards, Metal Insets, and Practical Life activities are designed to develop the appropriate hand-eye coordination for writing. 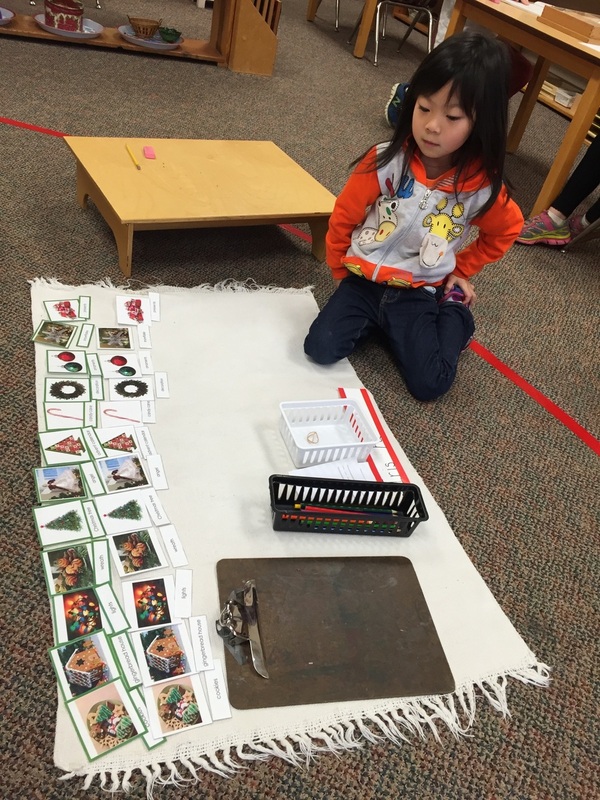 One of the most amazing and exciting areas of the Montessori classroom is Math. 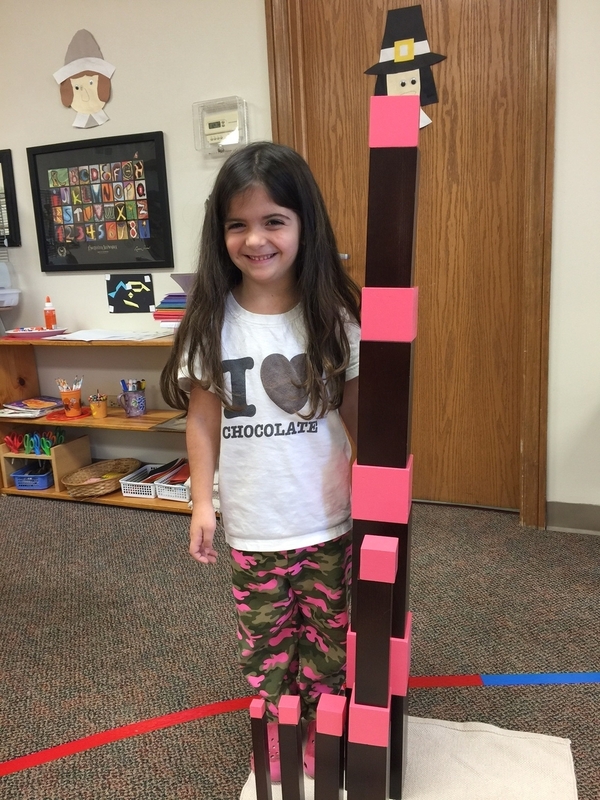 Materials make abstract concepts concrete and accessible. The carefully designed materials provide opportunities for insight into the basics as well as repetition allowing the children to demonstrate understanding and efficiency. When children learn about their past it helps them to understand who they are as individuals today. The youngest students begin their studies in geography with specialized maps that hold their interest and discover the languages and culture of each area. Our Montessori science curriculum consists of introducing children to botany, zoology, geology, and astronomy using a hands-on approach. This provides a solid science foundation and helps them develop a lifelong interest in observing nature and discovering more about the world in which they live.